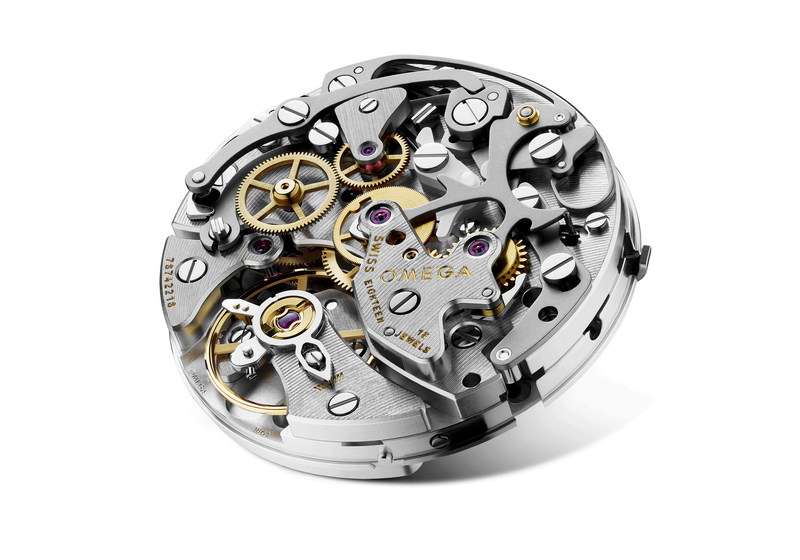 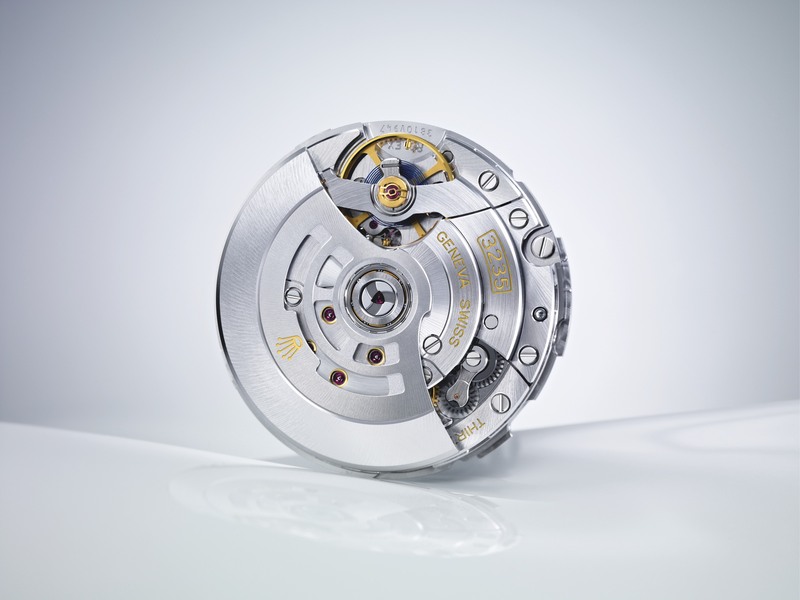 Swiss made, automatic, 35 mm/8.15 mm, 30 jewels, 28,800 vph (4Hz), 55-hour power reserve. 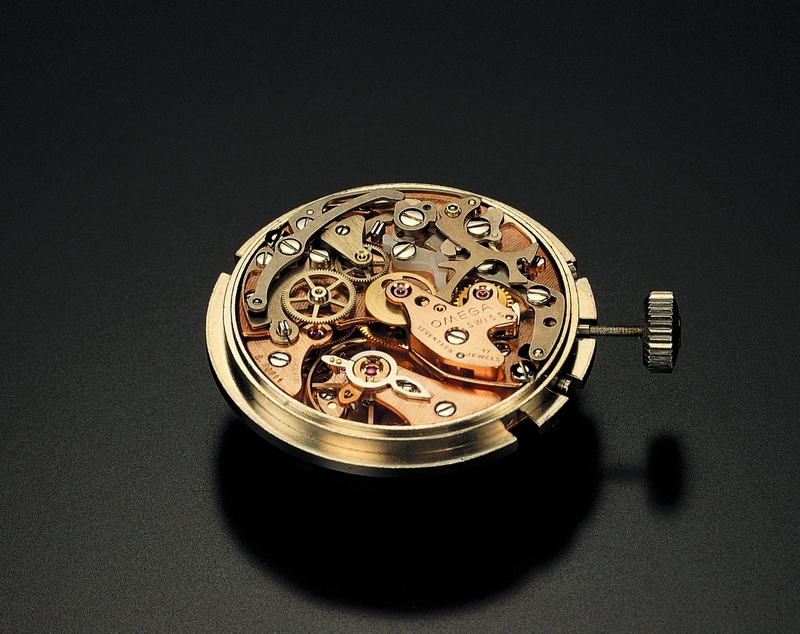 Palladium treated plate and bridges, hand chamfered with polished edges, circular graining and Côtes de Genève rayonnantes, all chronograph levers are satin-finished with hand-chamfered and polished edges, circular satin-finished wheels, blued screws with bevelled and mirror-polished heads. 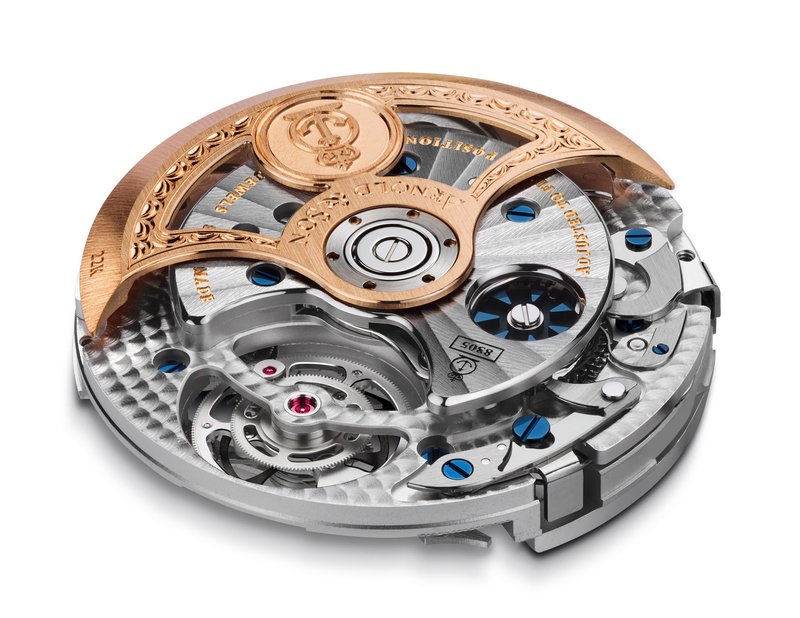 Hand-engraved 22K red gold skeletonized rotor with ceramic ball bearings.